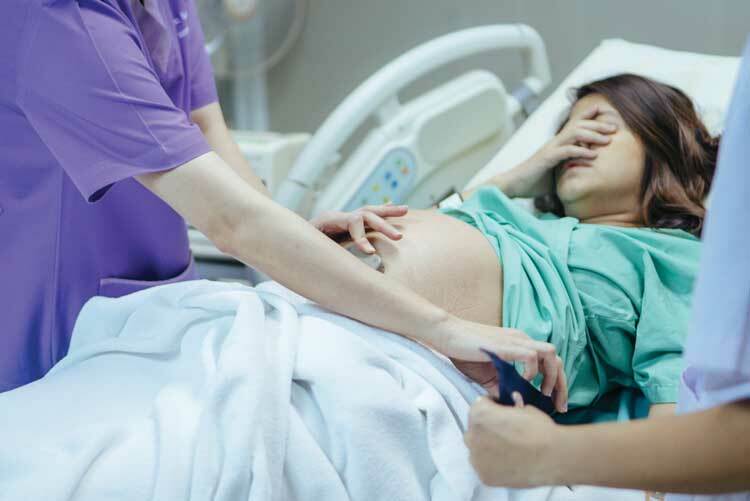 Within weeks of each other, two hospitals have reported mix-ups between epidural analgesia and intravenous (IV) antibiotics in labor and delivery (L&D) units. These mix-ups mimic previously published events and have similar contributing factors, including look-alike infusion bags, overlooked warning labels, and a point-of-care barcode medication administration (BCMA) system that was not fully engaged. However, unlike the prior events, drug shortages also played a role in the most recent errors. Epidural fentaNYL with bupivacaine administered IV. An obstetrician prescribed IV penicillin G 5 million units for a woman in labor along with an order to “prepare the patient for an epidural.” Although the patient was experiencing few contractions, the L&D nurse obtained infusion bags of IV penicillin G and epidural fentaNYL (2 mcg/mL) with bupivacaine (0.125%) from the automated dispensing cabinet (ADC) and placed them in the patient’s room on the counter, with the pharmacy labels face down. The pharmacy label was on the same side as the manufacturer’s primary label. A red “Epidural Use Only” warning label was on the front of the fentaNYL with bupivacaine bag, but from the back, the bag looked nearly identical to the penicillin G bag. The epidural tubing was stored in the patient’s room, but it was not near the bag of fentaNYL with bupivacaine. Both infusions had been prepared by the pharmacy in 50 mL–sized bags of 0.9% sodium chloride, although the penicillin G bag contained a total of 50 mL, and the fentaNYL with bupivacaine bag contained a total of 100 mL, so it looked a bit overfilled. Prior to the event, the pharmacy had been purchasing larger 100 mL–sized bags of epidural fentaNYL with bupivacaine from an outsourcer, which had a bright yellow label. However, due to the recent drug shortage of both bupivacaine and 100 mL bags of 0.9% sodium chloride, the pharmacy had been compounding the epidural solution using bupivacaine vials taken from epidural and patient-controlled analgesia kits. The bupivacaine and fentaNYL were mixed in a 50 mL bag of 0.9% sodium chloride, and then additional diluent was added to reach a total volume of 100 mL. The pharmacy applied its standard white label to the fentaNYL with bupivacaine bags, similar to other pharmacy-prepared infusions, along with a red epidural auxiliary warning label. However, L&D nurses had not been informed about the changes in bag size and label colors. So, at the time of the event, they expected epidural infusions to be in 100 mL–sized bags with a yellow label. The nurse picked up the wrong bag from the counter, not realizing that she had fentaNYL with bupivacaine in hand instead of the intended penicillin G. Although a BCMA system had been fully implemented in other areas, information technology staff were still working with the L&D unit to implement the technology in this last patient care unit. One of the barriers to implementation had been the requirement for pharmacy to verify all medication and solution orders before the system was operational. However, epidural infusions were typically ordered and documented after anesthesia staff started the infusion. Soon after receiving the wrong medication, the woman began having seizures and experienced respiratory arrest. A responding anesthesiologist noticed the error after reading the label on the infusing IV bag and immediately administered IV naloxone and a bolus of lipid emulsion, with an IV lipid emulsion infusion to follow. The baby was delivered via emergency cesarean section and had a low Apgar score that improved over time. Fortunately, both mother and baby appear to be without long-term adverse effects. IV gentamicin administered epidurally. An anesthesia practitioner administered 450 mg of IV gentamicin via the epidural route to a woman in labor instead of bupivacaine (0.125%). The pharmacy-prepared gentamicin infusion had been removed from an ADC instead of the intended bupivacaine infusion. Earlier, a pharmacy technician had incorrectly loaded one bag of the IV gentamicin in the bin holding the epidural bupivacaine infusions. Due to a drug shortage of bupivacaine, the hospital was no longer able to purchase compounded bupivacaine infusions from an outsourcer. Pharmacy staff had just begun mixing bupivacaine infusions in 100 mL bags of 0.9% sodium chloride and were also mixing gentamicin infusions (not available commercially) in 100 mL bags. Similar-looking pharmacy labels had been applied to the front of the bags, and a red “Epidural Use Only” label had been affixed to the front of the bupivacaine bag. Although barcode scanning was used when refilling the ADC, only the first product in a batch loaded into each bin was scanned. In this case, the technician scanned one of the correct bupivacaine infusions but did not notice that one of the five similar-looking bags loaded in that bin contained gentamicin. Several days later, an anesthesia practitioner removed the gentamicin bag from the ADC and did not notice the error. Although nurses in L&D employed a BCMA system routinely prior to administering medications, the technology was not used at all by anesthesia practitioners. Thus, the anesthesia practitioner administered the gentamicin by the epidural route, believing the bag contained bupivacaine. The patient complained of significant pain during labor and delivered her baby two hours later. The mother was stable post-delivery, and the baby had high Apgar scores. The error was finally noticed when a nurse discontinued the epidural solution post-delivery; however, 69 mL of gentamicin had infused. The anesthesia practitioner administered normal saline via the epidural route for 10 hours to dilute the gentamicin in the epidural space. Since 2000, ISMP has described more than a dozen errors that occurred in the U.S. and the United Kingdom involving the IV administration of epidural bupivacaine in L&D units, including five deaths of young mothers (Figure 1) (ISMP, 2008, 2010a, 2010b, 2016; Smetzer, Baker, Byrne, & Cohen, 2010). Prior errors involving epidural administration of IV antibiotics have also occurred. Most of the fatalities occurred with IV administration of epidural bupivacaine before IV lipid emulsion therapy was recommended as an antidote by the American Society of Regional Anesthesia and Pain Medicine (Neal et al., 2010). Events occurring before (2006) and after (2016) widespread knowledge of lipid emulsion therapy as an antidote are provided as examples. 2006 event. A 16-year-old woman in labor died after accidental IV administration of fentaNYL with bupivacaine instead of penicillin G (Smetzer et al., 2010). The L&D workflow favored collection of all supplies at the start of labor or induction. Therefore, the epidural medication had been brought into the patient’s room before it was prescribed so it was ready for anesthesia staff when needed. The bag of penicillin G was also in the room. Both infusions had been prepared in 150 mL bags, and both bags were labeled with the same orange-colored pharmacy labels. A large pink warning label, “For Epidural Use Only,” was on the front of the epidural bag, and a small pink label was on the back. However, the nurse misread the pharmacy label, and the warning labels did not catch her attention. Her perception of risk was not high, as she thought she had penicillin G in hand, not an epidural infusion. Several weeks before the event, the hospital’s L&D unit had implemented a BCMA system. However, most of the L&D patients bypassed the admissions department, where identification (ID) bands were typically applied, and were admitted directly to the unit without an ID band. Therefore, the patient did not have an ID band on when the nurse was administering what she thought was penicillin G. Thus, the BCMA system was not used. Within minutes of infusing the fentaNYL with bupivacaine IV, the patient experienced cardiovascular collapse. Although a healthy infant was delivered by cesarean section, the medical team was unable to resuscitate the mother. 2016 event. A healthy 21-year-old woman in labor received IV fentaNYL with bupivacaine instead of penicillin G (ISMP, 2016). Shortly after epidural placement, the patient began experiencing perioral numbness and tinnitus followed by stupor, seizures, hypotension, and tachycardia. It was quickly noticed that the nurse had mistakenly grabbed and administered a 100 mL bag of epidural fentaNYL (2 mcg/mL) with bupivacaine (0.25%), thinking it was penicillin G. Naloxone and an IV bolus of lipid emulsion was administered, followed by a lipid emulsion infusion, with patient improvement in just a few minutes. Fetal heart rate never dropped below 130 beats per minute, and the patient delivered a healthy infant with high Apgar scores. It was prompt recognition followed by prompt administration of the IV lipid emulsion that saved this young woman and her infant. Due to the risk of mix-ups between epidural analgesia and IV antibiotics in L&D settings, consider the following recommendations. Initiate and verify orders. If a patient requires IV antibiotics and/or epidural analgesia, require the physician or anesthesia professional to initiate the required orders and have a pharmacist verify the orders before either infusion is brought to the patient’s bedside. Consider less toxic anesthetics. When appropriate, consider the use of other local anesthetics for epidural analgesia that may be less cardiotoxic than bupivacaine (e.g., ropivacaine), in case the epidural analgesia is inadvertently administered IV (Guo, Li, Gao, & Tian, 2015). Inform all practitioners about changes. When products or preparation processes change due to drug shortages or other reasons, let frontline practitioners (e.g., nurses, anesthesia staff) know about any differences in the appearance, labeling, container sizes, concentrations, products, or directions for administration of infusions before dispensing the alternative. If time permits, conduct a failure mode and effects analysis before making the change to identify and mitigate risks with the alternative product. Differentiate epidural bags. If possible, use a different size or shape container, or colored overwraps, for epidural analgesia to differentiate it from IV medications and infusions. Apply auxiliary warnings. Apply distinctive, large warning labels that state “For Epidural Use Only” in a standard color on both sides of an epidural analgesia bag. Apply a warning label over the seal of the access port used to spike an infusion bag. Dispense with epidural tubing. Have pharmacy dispense epidural analgesia along with the required yellow-striped epidural tubing to promote administration by the correct route. The analgesia bag can be spiked with the tubing only if administration is imminent. Scan each bag. When stocking an ADC, scan each epidural infusion individually before placing it in the correct storage location (when technology allows). Define patient “readiness.” Define how nurses should prepare patients for epidural analgesia. Include a timeline and checklist to guide the process (similar to an operating room readiness checklist) with steps to accomplish before calling anesthesia staff. Limit access to epidural analgesia. Require the practitioner who will be administering the epidural analgesia to bring the medication to the patient’s bedside immediately before use. 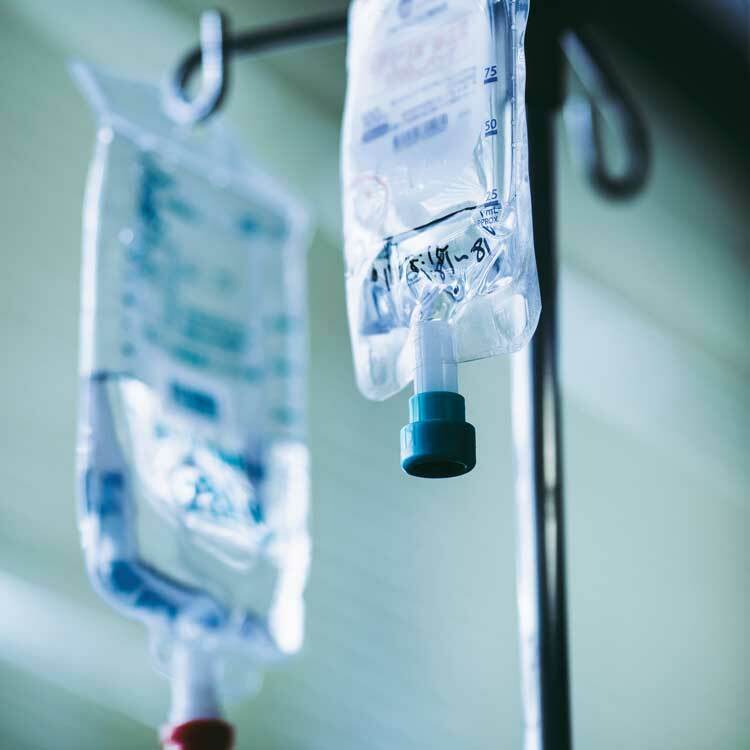 This avoids a handoff between nurses and anesthesia staff, and limits the potential for confusion with other IV medications and infusions in the patient’s room. If epidural analgesia and IV infusions must be brought into the patient’s room together, establish separate and secure drug storage locations for each phase of the L&D process, thereby separating epidural analgesia and IV antibiotics (and other medications/infusions). Reduce interruptions. Establish a quiet zone in the patient’s room or anteroom for getting medications and solutions ready for administration. Advise the patient and family when the nurse needs to move to the quiet zone and the importance of minimizing interruptions. Require the setup of epidural analgesia to be a separate, dedicated process conducted immediately prior to the start of the infusion. Except in urgent/emergent situations, medications should be readied in the quiet zone, not at the bedside. Fully employ BCMA. Establish an admission process that ensures L&D patients have a barcoded ID band applied shortly after arrival and before nonemergent medications or solutions are administered. Require full use of the BCMA system by all practitioners, including anesthesia staff. Remedy any system or labeling problems that limit full compliance, and run compliance reports regularly to ensure widespread use over time. Conduct a timeout. Conduct a timeout immediately before starting the epidural infusion, which includes reading aloud the drug name and concentration from the container label to verify the epidural infusion. Trace lines. Trace lines from their respective sources (and infusion pump) to the patient’s access into the body before making connections or administering medications or solutions. Consider a medication error. If a patient expresses concern about a medication or experiences unexpected symptoms, evaluate the medications and solutions the patient has received and investigate the possibility of a medication error. Establish toxicity treatment protocol. Establish a protocol to identify and treat local anesthetic toxicity (Neal et al., 2010). Make the protocol and required medications (i.e., lipid emulsion) readily accessible on code carts or with other secured emergency supplies. Educate staff. 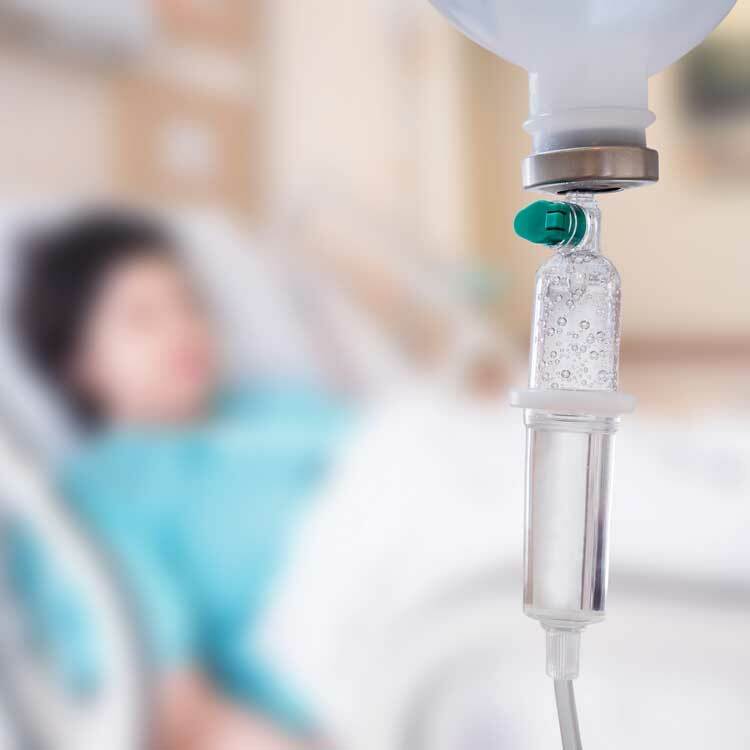 Alert practitioners to the risk of mix-ups between epidural analgesia and IV antibiotics in L&D settings and how to recognize and treat local anesthetic toxicity. From the October 4, 2018 edition of ISMP Medication Safety Alert! (2008). Epidural-IV route mix-ups: reducing the risk of deadly errors. ISMP Medication Safety Alert!, 13(13), 1–3. (2010a). Root cause analysis published. ISMP Medication Safety Alert!, 15(5), 4. Smetzer, J., Baker, C., Byrne, F. D., & Cohen, M. R. (2010). Shaping systems for better behavioral choices: Lessons learned from a fatal medication error. Jt Comm J Qual Patient Saf, 36(4), 152–163. (2010b). Another fatal event with IV bupivacaine. ISMP Medication Safety Alert!, 15(10), 2. (2016). More on lipid rescue. ISMP Medication Safety Alert!, 21(23), 4–5. Neal, J. M., Bernards, C.M., Butterworth, J. F. 4th, Di Gregorio, G., Drasner, K., Hejtmanek, M. R., … Weinberg, G. L. (2010). ASRA practice advisory on local anesthetic systemic toxicity. Reg Anesth Pain Med, 35(2), 152–161. Guo, S., Li, B., Gao, C., & Tian, Y. (2015). Epidural analgesia with bupivacaine and fentanyl versus ropivacaine and fentanyl for pain relief in labor: a meta-analysis. Medicine (Baltimore), 94(23), e880. Weinberg, G., Ripper, R., Feinstein, D. L., & Hoffman, W. (2003). Lipid emulsion infusion rescues dogs from bupivacaine-­induced cardiac toxicity. Reg Anesth Pain Med, 28(3), 198–202. Rosenblatt, M. A., Abel, M., Fischer, G. W., Itzkovich, C. J., & Eisenkraft, J. B. (2006). Successful use of a 20% lipid emulsion to resuscitate a patient after a presumed bupivacaine-related cardiac arrest. Anesthesiology, 105(1), 217–218. Litz, R. J., Popp, M., Stehr, S. N., & Koch, T. (2006). Successful resuscitation of a patient with ropivacaine-induced asystole after axillary plexus block using lipid infusion. Anaesthesia, 61(8), 800–801.